In this case, the patient – a 47-year-old female – approached the practice after finding us on the internet. She came to me because she was not satisfied with the shape, the colour and the position of their teeth. The patient had a great cold sensitivity. Following professional tooth cleaning, the patient was shown how to use and remove the IAS Inman Aligner appliance and was instructed to wear this for18 hours a day. Interproximal reduction (IPR) was also performed progressively every three weeks throughout the course of the IAS Inman Aligner treatment. 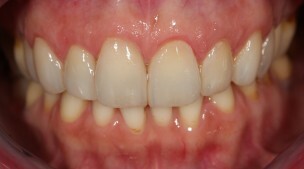 Once the desired outcome was achieved on the upper anteriors, a fixed retainer Venners from 14 to 24. 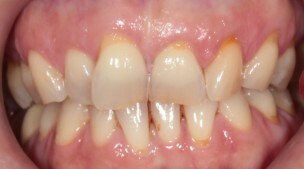 At this time the patient also had a filling (class five) and performed home bleaching with Opalescence® PF 10%, which was followed by the use of Relief Oral Care Gel to reduce the sensitivity caused by the whitening treatment. An individual vacuum-formed template was created to help guide tooth preparation. Essentially, the digital smile design allowed me to create a virtual mock-up, which was applied to a plaster model, and ultimately improved the effectiveness of treatment planning. The next step was to direct mock-up with composite. It was at this point that photographs were taken to monitor the development of the treatment process. It was very rewarding to see the patient become emotional as she realised the changes that were being achieved. After the anterior alignment, bleaching, mock-up and finishing treatments, the process was complete and both the patient and I were very happy with the final results. 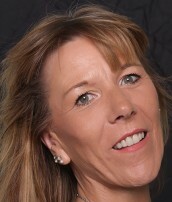 I had my inman aligner for 8 weeks to straighten my front teeth and I am so happy with the results. The results are amazing!